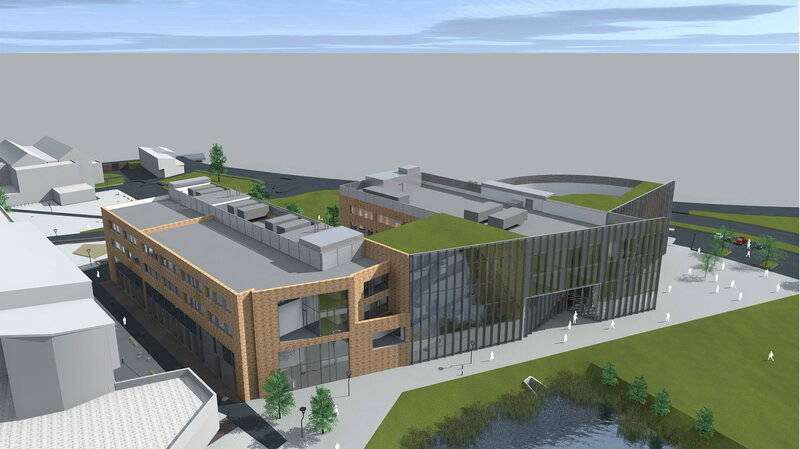 The University of Lincoln’s new addition to the Brayford Pool campus, a science, maths and engineering building, will enter its first construction phase before the end of the month. The Isaac Newton Building, which has been given a construction value of £15 million, is being created to support the university’s growth in engineering, computer science, mathematics and physics. The building is named after Sir Isaac Newton, the great mathematician and physicist, who lived in Woolsthorpe-by-Colsterworth near Grantham, Lincolnshire. Work is due to start in late January 2015 and is expected to be completed by the end of the year. The first phase of the development will be an eastward extension of the current Engineering Hub, creating more space for the university and Siemens. In the summer construction will start on the second, larger phase of the building. This will be located to the south of the existing building and will take around 18 months to complete. The building will include new teaching space, specialist workshops and laboratories, offices and research equipment. 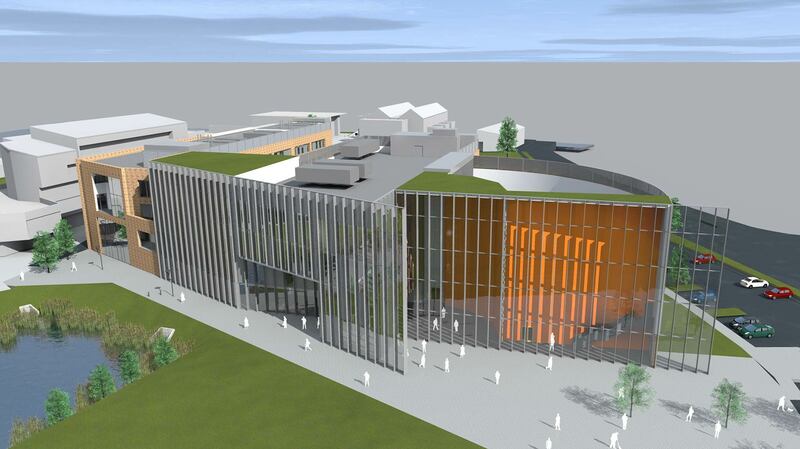 There are also plans for a 500-seat lecture theatre – the largest lecture theatre on campus – and a new catering outlet. The proposed building is expected to be 4 storeys tall with an overall internal area of approximately 7,000 square metres – triple the size (by floorspace) of the current Engineering Hub. The site of the extended building is currently used for staff car parking. Professor Andrew Hunter, Pro Vice Chancellor and Head of the College of Science at the University of Lincoln, said: “The Isaac Newton Building will be a superb new facility for students, staff and industrial partners. The Isaac Newton Building signals the next phase of the university’s Brayford Campus Masterplan which will see more than £100m invested over the next decade. 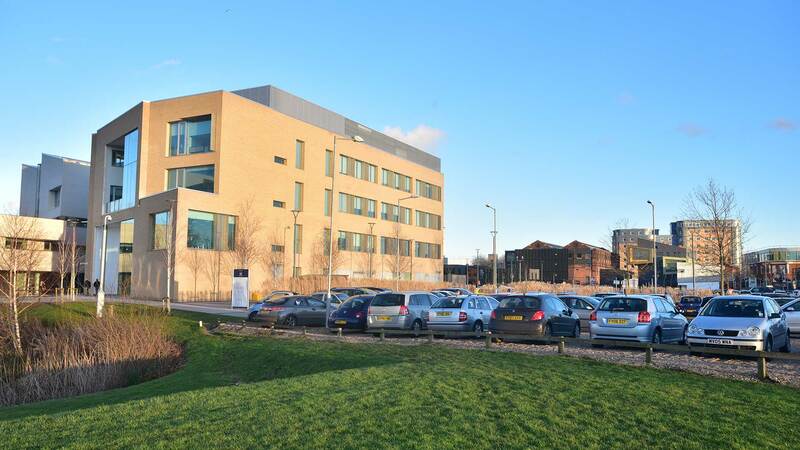 A University of Lincoln spokesperson said: “The University has made an application to the European Investment Bank, a significant co-funder of capital projects in the UK higher education sector. This bid forms the next major phase of our ongoing strategy for investment, in line with the vision set out in our Campus Masterplan. Work on site marks another significant step in the University of Lincoln’s ongoing investment in science, technology, engineering and mathematics (STEM) subject areas. In September 2014 it opened the new Joseph Banks Laboratories at the Lincoln Science and Innovation Park – a multi-million pound partnership with Lincolnshire Co-op. 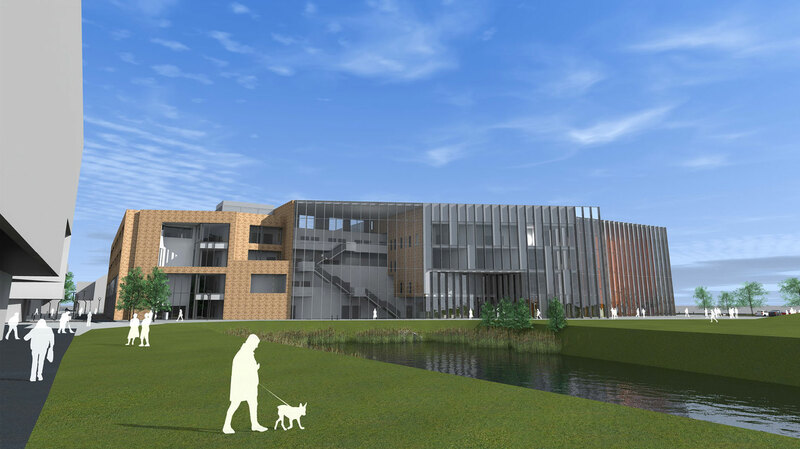 The University has also announced plans for the Boole Technology Centre which will provide high quality commercial accommodation for science and technology businesses at the science park. Funding has been secured through the government’s Growth Deal via the Greater Lincolnshire LEP. The Lincoln School of Engineering, established in 2009 in collaboration with Siemens plc, was the first facility of its kind to be created in the UK for more than two decades. It was supported with funding from the European Regional Development Fund and other sources. The School of Mathematics and Physics was established in 2014 with the aid of £6.8m of funding from the Higher Education Funding Council for England. The University of Lincoln was awarded a further £5m by HEFCE as part of a national £200m programme of investment in STEM teaching capital projects announced in December 2014.